With much chest-thumping, Gov. Rick Scott last week signed a law clipping auto-tag fees by about $25 per vehicle in Florida. He used the opportunity to blast former Gov. Charlie Crist for raising those fees five years ago. What Scott cynically failed to mention during the bill-signing charade was that all the top Republicans standing at his side had also supported the auto-tag hikes. It was the depth of the recession, and the state desperately needed revenue. Scott is desperate to appear gubernatorial because Crist, running as a Democrat, will likely be his opponent in the November election. The auto-tag fee cut was the centerpiece of a tax-relief agenda being pushed by the governor, who trails Crist in the early polls. Two of the GOP lawmakers who were crowing about this grand windfall for motor-vehicle owners have an infinitely more important job in the days ahead. House Speaker Will Weatherford and Senate President Don Gaetz have a chance to do something truly crucial and good. They can shape a law that saves actual lives — the lives of endangered children. Bills that would strengthen Florida's child welfare laws are winding through both houses of the Legislature after publication of the Miami Herald's shocking investigative series, "Innocents Lost." The newspaper documented the deaths of at least 477 children whose parents or caregivers had a history with the state's Department of Children and Families. During the six-year period studied by reporters, DCF consistently under-reported the number of victims in its files who died because of violence or negligence by parents and caregivers. In 2008, for example, the state said the death toll was 79. Using DCF's own records,Herald reporters found 103 fatal cases that year. Then, in 2009, the state reported that 69 children whose families had prior contact with DCF had died. Reporters counted 107. The uncounted die just as wretchedly — and as unnecessarily — as the counted. One of the most awful, notorious cases involved Nubia Barahona, a 10-year-old Miami girl who'd been tortured and starved by her adoptive parents. Soaked in poisonous chemicals, her decomposing body was found inside a black garbage bag on a pest-control truck. Three years after the murder, the DCF still hasn't sent her case to the Florida Child Abuse Death Review Committee. Incredibly, Nubia's death remains officially uncounted. The child-welfare system has been overwhelmed and broken for a long time, but that hasn't stopped lawmakers from hacking millions in DCF funding. But this year, Florida has accumulated an extra $1.3 billion in revenues, so there's no excuse not to take action to stop the killings. Scott has proposed $40 million to hire more DCF investigators and improve their training. That's a start, but drug-treatment and counseling programs are also needed for those who've been allowed to keep their children while under supervision. The sad truth is there aren't enough good foster homes to let the state move all the kids now living with reckless parents in high-risk situations. In recent years, the DCF has bent over backwards to hold dysfunctional families intact, too often with lethal consequences. In 83 cases found by the Herald, a little boy or girl died after one or more parents had signed a so-called "safety plan" pledging to take better care of the child. The Senate version of the reform bill aims to make these safety plans more than just a piece of paper. The measure would require prompt and complete reporting of certain child deaths, and offer tuition-aid incentives for social workers who want to become child-abuse investigators. Still, the Senate bill provides only $31 million in extra funding for child protection. The House version calls for $44.5 million. "It's tragic where Florida finds itself," Weatherford said last week. He and Gaetz have the clout — and a moral obligation — to make other lawmakers understand the profound urgency of DCF reform. Children who are known to be in danger are dying, and the state can't even properly count how many. With $1.3 billion in unanticipated revenue lying around, the governor and Legislature can afford to invest more than a drop in the bucket to help Florida's most helpless children. Lowering auto-tag fees by 25 bucks might be cause for giddy back-slapping in Tallahassee, but saving even one child from a tortuous death would be a more noble accomplishment. And one you can't put a price on. Hiaasen writes for the Miami Herald. 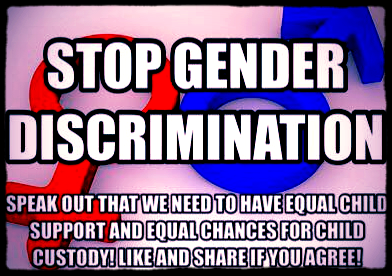 Post by Stop Mental Child Abuse. Post by And Justice 4 All ~ Florida. Post by Florida Women for Alimony Reform - FLWAR. Representative Ritch Workman of Melbourne goes into more detail about the bill. Amber Statler-Matthews reports on push for alimony reform from permanent alimony to durational alimony. Deborah Leff Israel founded the Florida chapter of the Second Wives Club, now called the Florida Women for Alimony Reform. Deborah explains alimony changes are needed to weed out people who truly need longer term support from those who are able-bodied and can work but get away without doing so–because of the law. Lawyers.com videojournalist Amber Statler-Matthews reports on the changes in alimony law, looming in the horizon. Deborah reconnected on Facebook with a friend, whom she had not seen for 26 years. They fell in love and were engaged in 2010. Three years later, they are still engaged. That’s because Deborah realized if she married her fiance and he fell into financial hardship — the permanent alimony granted to his ex-wife could become her responsibility. The alimony checks continue until the payee remarries, even if the payor becomes sick or retires. Increasing lifespans and co-habitation mean payments get extended much longer. Permanent alimony ties former spouses to unhealthy relationships. Court ordered alimony payments rely too much on the judge’s discretion. Family law attorney, Lori Barkus, says new legislation, which creates uniformity and gives people standards and guidelines, is needed. She feels the laws should also allow judge’s discretion, in cases that warrant it. Durational alimony allowing enough time for a long-term homemaker to establish a career, then payments should end. Alimony based on established formulas that take into account the length of the marriage, and the age of supported spouse. A set date for payments to end. Removal of judicial discretion on the payment terms. Women are now making up larger numbers in the workforce. A recent study shows that 40% of married women out earn their husbands. Change in alimony is coming. 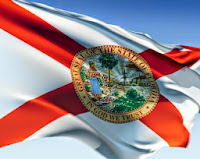 Post by First Husbands Advocacy Group - Florida Alimony and Custody Laws Reform. "Winner Take All" System Fails America! Dear 2016 Presidential Candidate, What's causing the DCF deaths and the separation of our families? Florida Governor Ric Scott...Follow the Money, the Ex's and the Florida Bar. 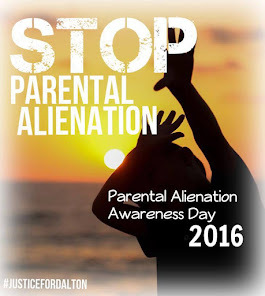 In a moment not only was the alimony bill bill (SB 718) veto but the destruction of shared parental rights swept away as well. A group of 20 or so ex-wives protested in his office the day it was to be signed. Scott caved to this bullies and our children will pay for it for years to come. This bill would retroactively change the course of alimony, as it should but more importantly it would of put parents on a 50/50 shared parenting with their children. Now it destroys any chance of parents receiving 50/50 custody prior to 2008 divorce. Who suffers........our children. Who benefits, the Florida Bar. 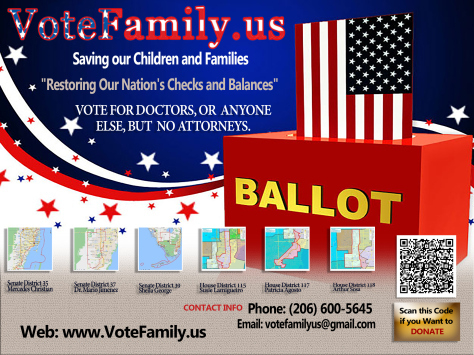 The Florida Family division (only 3500) lobbied against the bill. Scott said he blocked the bill because they would have been disruptive for families. No, Scott the DESTRUCTION of families is closer to the truth. Scott needs to be removed from office and the Florida Bar dissolved. The Florida Bar is the third largest such bar association in the United States. When money comes before our children we are on a path to destruction in family values. 1. Our proposed legislation did indeed pass the Florida House last session by an overwhelming majority, 83-30. Our House sponsor who is very committed to alimony reform, Rep. Ritch Workman, will be sponsoring the bill again. It was never even brought to a vote in the Senate (by last year’s sponsor, Sen. Miguel Diaz de la Portilla) where we believe it would have passed based on our headcount. This upcoming session, we will be much more selective when choosing a Senate sponsor so the same problem doesn’t re-occur. 2. It should be noted than many people when getting divorced feel compelled to sign an agreement to pay permanent alimony. I have heard the same story from many of our members. The attorneys, who are trying to help their clients, tell them that should sign the agreement to pay permanent alimony because if they don’t, they will spend many thousands of dollars on a trial during which the judge will most likely order them to pay lifetime alimony. The attorneys are trying to save their clients money and aggravation by offering this advice. There are thousands paying permanent alimony in Florida. There are documented suicides due to the hardships imposed. 3. When the draft of our new bill is available, any reasonable person will see that the proposed legislation is very fair, even for older homemakers. Right now, application of the law is unpredictable and often biased against the breadwinner or higher wage earner. Too many people are forced into bankruptcy while others are given a free pass at self-sufficiency. 4. Last but not least, even if my own fiance’s alimony were to terminate tomorrow, this is a cause I would still work for because I have seen too many people suffering under the current laws and lives unnecessary lost and destroyed. I believe the laws that were created back in the “June Cleaver” days are no longer appropriate in the 21st century. These ancient laws have to change. Alimony needs to work like Child Support in Florida. Fixed amount, fixed period of time, nothing to argue about. That’s why Child Support works just fine. 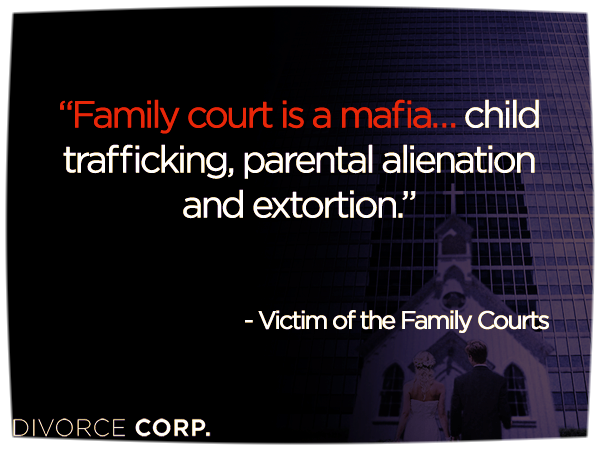 Nothing for the family law attorneys to fight (and bill you) for. Girlfriends or fiancee’s dare not ever marry a lifetime alimony payer in Florida – their income can then be counted to give the first wife a raise in her alimony! 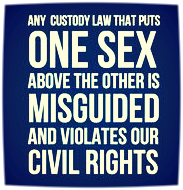 The current draconian laws are anti-family and oppressive to our entire state. With over a 50% divorce rate out there, our lousy laws may not impact your happy marriage, but the odds are good that you brothers, sisters, children, or close friends will one day feel the wrath of these pro-lawyer, anti-family mandates. And their lives will be destroyed. Support Alimony Reform in Florida this year! Thank you for bringing attention and public awareness to this issue. Permanent alimony is ridiculous, hurts all involved & takes the joy and ability of sharing the fruits of the payor’s hard work (financial resources) with children. The financial resources are depleted by the payee, who in many instances is already in a supportive, cohabitive relationship. Attorneys are making excessive amounts of money as payor’s try to right this, and outcomes are not always favorable, although they appear they should be. Public opinion on the situations I am aware of is “they had a bad attorney”, most public are not aware of the “facts” of these archaic guidelines related to alimony in Florida. Even when a “supportive relationship” is proven, recognized by the judge, alimony is still only reduced insignificantly. 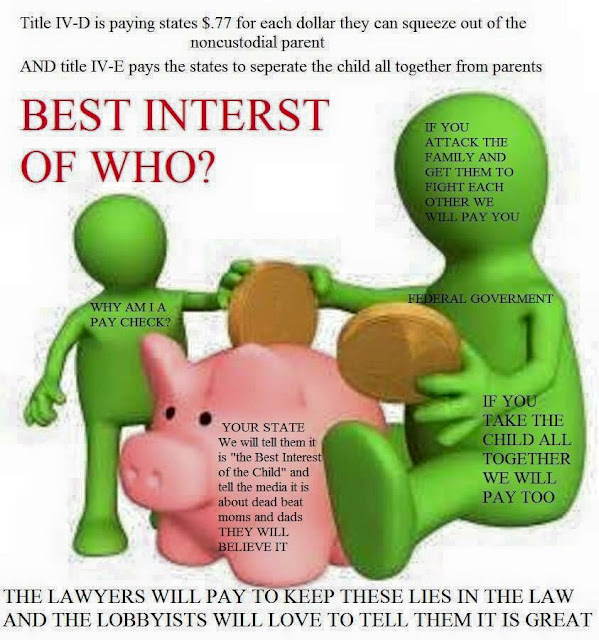 And the payor is ordered to pay the attorney fees for both sides….how is that justice? Paying their high priced attorney to fight to keep something they are no longer entitled to, losing, but not being responsible for the bills incurred to move forward with a fight….if they would have been responsible for their own fees, maybe they would not have added up to $12,000! We will never give up the fight until Florida laws related to alimony are updated to reflect today’s socially accepted lifestyles, push to self sufficiency and fiscal responsibility for everyone, not just alimony payor’s.